Shanda McKinney is joining the national architecture, engineering and geospatial firm at its Dayton headquarters. 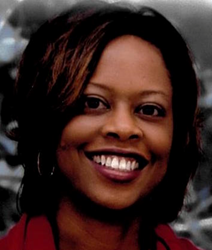 Woolpert has hired Shanda McKinney as its new human resources director. McKinney will replace Jackie Harding, who will retire this year after more than 30 years with the national architecture, engineering and geospatial firm. McKinney comes to Woolpert with nearly 20 years of experience in human resources, serving in a management capacity for the last 14 years. In addition to overseeing the Human Resources Department, Woolpert CEO Scott Cattran said McKinney will focus on culture, leadership development, career paths and benefits. McKinney said she is looking forward to supporting and furthering this initiative based on employee feedback and competing on a national level. McKinney holds a bachelor’s degree in psychology from Wright State University and master’s degree in human resource administration from Central Michigan University-WPAFB Campus. She is a certified Professional in Human Resources and member of the Society of Human Resource Management. She also has served on the board of the Dayton YWCA and is a current board member with the Dayton Boys and Girls Club. McKinney has lived in the Dayton area for several years with her husband and two children. She will begin work today, July 18, at Woolpert's Dayton headquarters. Woolpert is a national architecture, engineering and geospatial (AEG) firm that delivers value to clients by strategically blending engineering excellence with leading-edge technology and geospatial applications. With a dynamic R&D department, Woolpert works with inventive business partners like Google; operates a fleet of planes, sensors and unmanned aerial systems (UAS); and continually pushes industry boundaries by working with advanced water technologies, asset management, Building Information Modeling (BIM) and sustainable design. Woolpert’s mission is to help its clients progress—and become more progressive. For over 100 years and with 24 offices across the United States, Woolpert serves the needs of federal, state and local governments; private and public companies and universities; energy and transportation departments; and the United States Armed Forces. For more information, visit woolpert.com or call 937-531-1258.